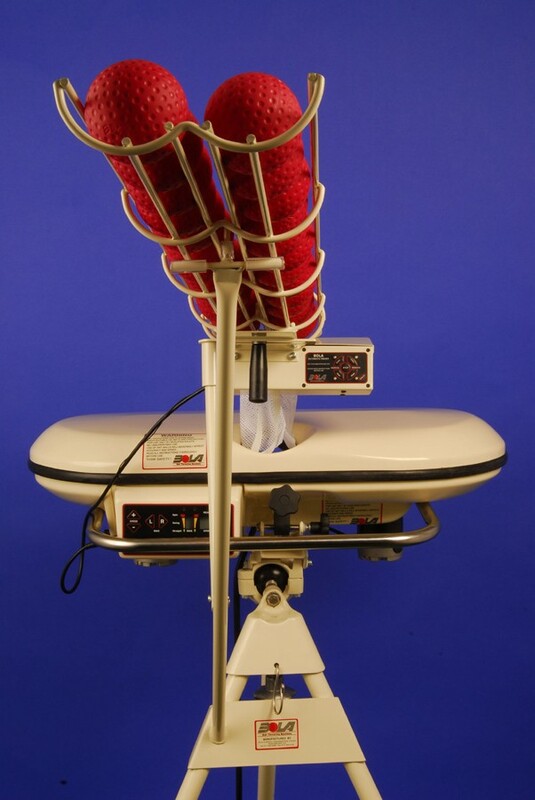 An automatic 28 capacity ball feeder to fit all BOLA Bowling Machines. Fitted in less than 2 minutes. Feeds a ball into the machine every 7 or 11 seconds (as selected). Optional remote control on/off switch allows interruption of the sequence when required. Warning lights indicate release of ball. The ball feeder offers a unique solo batting practice facility or the option to coach from any position. Illustrated connected to a Professional machine.